What do you get the person who has it all? How about something that doesn’t actually exist—at least not yet? That’s where professional poker player Daniel Negreanu has set his sights these days. After making a fortune on the felt, the Canadian poker pro wants to buy a share of the Las Vegas NHL hockey franchise from Bill Foley. Ironically, Las Vegas does not have an NHL team, but the billionaire/millionaire team of Foley and Negreanu is aiming to change that. Bill has been on a mission to bring professional hockey to Sin City for some time now, heading up the organization Hockey Vision Las Vegas, which launched its own website late last year. Negreanu says the odds of Las Vegas being awarded an NHL hockey team are extremely high. “I just don’t see it not happening,” he said in an interview with Toronto Sun’s Mike Strobel. “We have a solid owner, an arena (nearing completion on the Strip with 17,500 seats for hockey) and we sold 13,000 season tickets,” said Daniel. What name does Daniel foresee the new team embracing? The Las Vegas Rat Pack, as in Frank Sinatra, Sammy Davis Jr., Dean Martin, and the rest of the crew. Of course, that’s only his vision. The usual naming contest would be held. Daniel pledged to be at every game cheering on the team, and said he might even launch his own hockey talk show. But for now, “the focus is on getting the team”. Does Las Vegas have a Slap-Shot at an NHL Hockey Team? When the NHL began accepting applications for expansion teams, there were specific guidelines set forth. 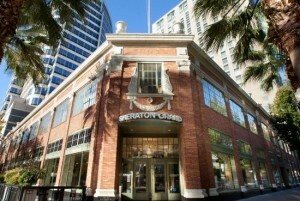 In order to even be considered, the applicant must be capable of substantial ownership, which Las Vegas has in billionaire insurance tycoon Bill Foley. An adequate arena must available, or at least plausible, which Sin City already has in The Las Vegas Arena. Lastly, there must be an interested audience, and Foley has already obtained that as well. As Daniel pointed out, Foley’s campaign to harvest hockey fans was a huge success, having already secured over 13,200 season ticket holders, including 11,500 deposits, 1,000 commercial commitments and 735 suite seats. Poker games have been highlighted on television since the 1970’s, but it wasn’t until the sport experienced its big boom in the early 2000’s that watching poker on TV became truly popular, especially in Europe and North American. Viewership declined around the turn of the decade, but the trend is reemerging, and a new channel, Poker Central, is set to take full advantage with Daniel Negreanu coming along for the ride. Poker Central is a new TV channel that’s slated to take to the air sometime later this year. It will feature 24/7 broadcasts of poker events, recaps and other related news, like the great debate over online poker regulation – much like ESPN does for athletic sports. The 24/7 poker channel will deliver everything from in-depth bios of the world’s top professionals, to poker tutorials and strategic maneuvers used by the pros. The developers of Poker Central are hoping to draw a global audience, and while poker is extremely popular in many regions of the world, it’s going to take more than international coverage of all things poker to attract the masses. 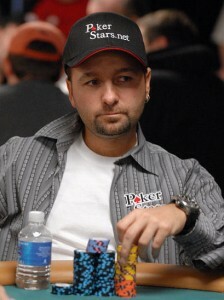 With that in mind, producers sought out the most popular poker personality on Earth… Daniel Negreanu. The Canadian poker pro has everything viewers could possibly want in representative of the poker channel. Not only is Negreanu a 6x WSOP bracelet winner and 2x WPT titlist, he has the most affable personality of any known poker pro the world over. He’s thoughtful, comical, always willing to share his knowledge of the game, and he’s devoted much of his life and wealth to philanthropy. 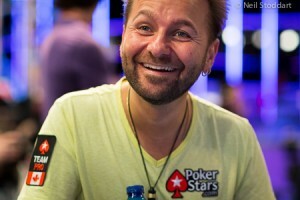 Suffice to say, it’s damn near impossible not to like Daniel Negreanu. It doesn’t hurt that the Canadian poker pro also happens to be the highest ranking member of poker’s all-time money list. At 40 years of age, his live tournament exploits have earned him $29,973,908, about $3.5 million more than the nearest competitor, Antonio Esfandiari. For his impressive efforts, Daniel was recognized by the Global Poker Index (GPI) as the best player of the last decade. Once Poker Central launches its channel, Stinchcomb said Negreanu will become a “key spokesperson” for the network. 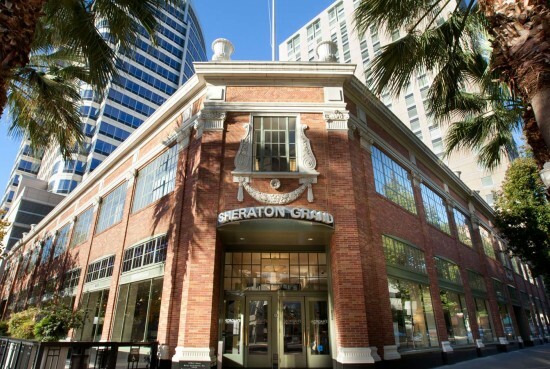 The 6x WSOP bracelet winner will be fully involved in the generation of original content for the poker channel, and will take on the role of studio analyst and commentator. 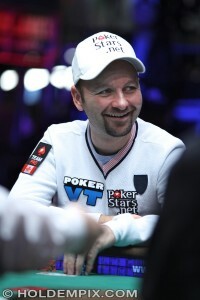 Viewers will be delighted to know that Negreanu’s responsibilities will see him at the tables, as well. He’ll be promoting Poker Central at live events, and is already slated to partake in the $500k Super High Roller Bowl at the Aria Las Vegas in July. With half a million on the line, Daniel will be competing alongside fellow esteemed pros, (most of which also hold a high ranking on the all-time poker money list), including Antonio Esfandiari (#2), Daniel Colman (#3), Phil Ivey (#4), Erik Seidel (#5), Sam Trickett (#6), Phil Hellmuth (#7), Scott Seiver (#8) and many more. Sponsored by Poker Central, you can view a complete list of all players registered for the $500k Super High Roller Bowl here.